Jim started Aikido in 1981 at Mount Pleasant Aikido. During this time, he had the opportunity to travel the world and train with many of Morihei Ueshiba’s original students, including a brief stint as a live-in student with the late Morihiro Saito Shihan, 9th Dan in Iwama, Japan. Jim began teaching Aikido in 1985 and became chief instructor of Mount Pleasant Aikido shortly after. After moving to Los Angeles, he became an assistant instructor at Aikido Center of Los Angeles. In 1991, he cofounded City Aikido of Los Angeles, where he remained a senior instructor until 2014. In 2015, Jim reestablished Southland Aikido in the Los Angeles area, a dojo he originally founded in the early nineties where he taught until he matriculated for graduate school. Aris began Aikido in 1963 at the Manila Aikido Club, then under the direction of the late Koichi Tohei Shihan (10th Dan Aikikai; Shinshin Toitsu Aikido Founder) who awarded him his 1st Dan in 1967. After moving to the U.S. in 1969, he trained briefly at New York Aikikai, then he moved to Los Angeles where he trained at several dojo prior to joining City Aikido of Los Angeles in 1993 with Kazuho Nishida Shihan, 6th Dan and Jim Graves Sensei. He studied Iaido with Kazuo Chiba Shihan, 8th Dan and is the dojo Iaido and lead bukiwaza instructor. Victor began his Aikido training in 1985 at Aikido Center of Los Angeles under the direction of Kensho Furuya Sensei. He tested for his 1st Dan in 1988 and became an assistant instructor shortly thereafter. In 1993, Victor continued his study at City Aikido of Los Angeles with Kazuho Nishida Shihan, where he held the chief instructor position for several years. In 2015, he continued his practice under the guidance of Jim Graves Sensei. He considers Yoshimitsu Yamada Shihan, 8th dan and the late Mitsunari Kanai Shihan, 8th dan as his primary influences. Tom began his Aikido training at Pasadena Aikikai in 1997 under Dan Nicodemo Sensei, along with their sister dojo, Aikido Academy under Francis Takahashi Shihan, 7th Dan. He credits Nicodemo Sensei for much of his early development of his fundamentals and foundation. 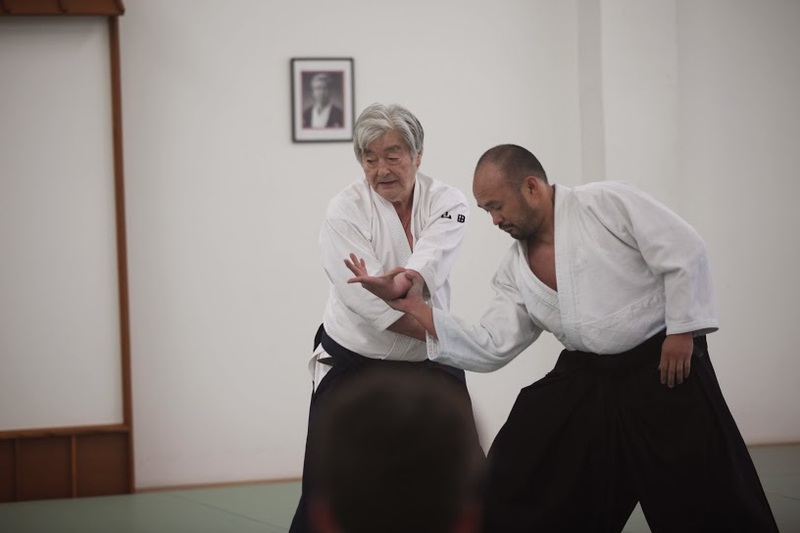 He continued his training at City Aikido of Los Angeles under Kazuho Nishida Shihan, where he received his dan ranks from Yoshimitsu Yamada Shihan. Additionally, he was also heavily influenced by the late Mitsunari Kanai Shihan. In 2015, he continued his practice under the guidance of Jim Graves Sensei. Rod began his study of Aikido in 1999 at Orange County Aikikai with Henry Oshiro Sensei. After moving to Los Angeles in 2004, he furthered his practice at City Aikido of Los Angeles with Kazuho Nishida Shihan. In 2015, he continued his training at Southland Aikido under the direction of Jim Graves Sensei, and actively trains at seminars led by Yoshimitsu Yamada Shihan and other renowned master instructors to deepen his understanding of Aikido. Anna began practicing Aikido at City Aikido of Los Angeles in 1996. After stepping away from Aikido in 2005, she joined Southland Aikido in 2015, rekindling her regular Aikido practice under Jim Graves Sensei.